Ransomware attacks in the UK have more than halved in the last year, according to a global cyber security firm. In particular, attacks with London as a target fell 99 per per cent from just over four million in 2017 to 27,630 in 2018. Ransomware makes it near-impossible to regain control of data stored on affected devices unless a ransom is paid, which is hugely disruptive to businesses. One of the most notorious cases to hit the UK was the WannaCry attack in May 2017, impacting parts of the NHS. 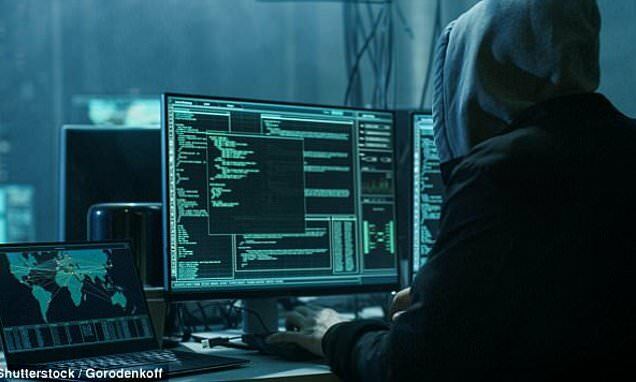 In the UK, attacks fell by 59 per cent in 2018 compared to the year before, SonicWall data suggests. London experienced a sharp 99 per cent drop, from just over four million in 2017 to only 27,630 in 2018, putting the capital's numbers below that of Manchester, where 168,201 cases were detected. Bill Conner, SonicWall chief executive, said: 'Cyber criminals look for easy targets with rich pickings and they like to focus on future gains.